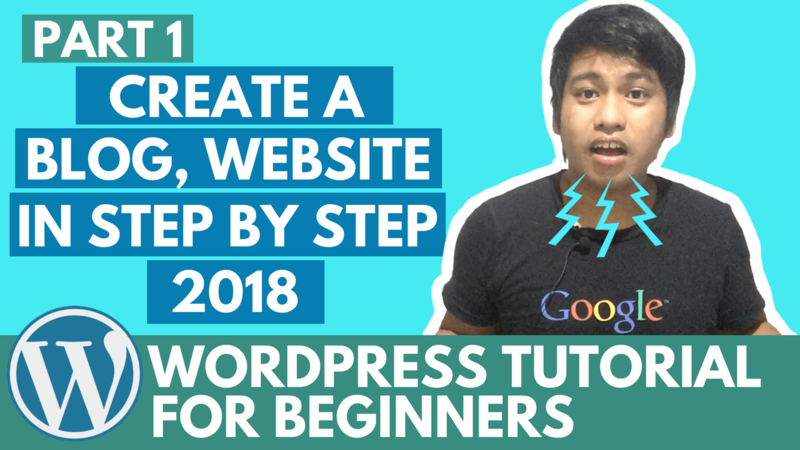 Welcome to this course WordPress Tutorial for Beginners 2018 The Essential of Creating a Blog and Website, in this course I will teach you how to create a WordPress Blog or website using WordPress in step by step. We will install a WordPress application in the desktop or laptop computer then and we will play the WordPress, we will create a Blog post, a photo gallery, pages, adding navigation menu, using widgets, and how to customize the theme using customizer. In the live site we will continue the development and choose a new WordPress responsive theme and install and customize to look nice. and many more we will cover. I encourage you to subscribe to my YouTube Channel to get new WordPress tips and tricks every week, your subscription will be inspire me to create more great videos in the future. All websites presented in every video are included in the video description you must check the description in every video, if you have a thought in every video kindly fill in the comment box section and ill be response as soon as possible. How much earned in AdSense? Just 10 USD only, Enroll now in my Udemy Course. If you have a Questions about the course don’t hesitate to contact me, i will respond as soon as possible.